It was the year of the redo for Las Vegas, and Travel Weekly has assembled a list of Best Bets for Sin City which include some impressively refreshed and renewed brands. 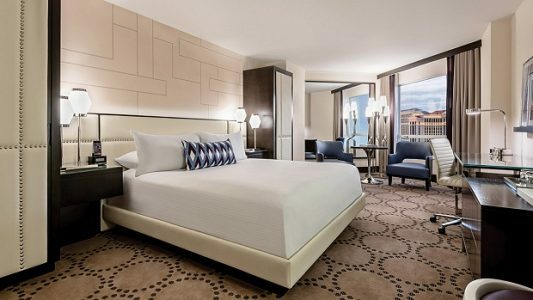 Among the hotels and attractions featured are Caesars Palace, with its flashy, buzzed-about restaurant Mr. Chow; Harrahs’ upscale, but affordable Valley Tower Suites (above); MGM Resort’s Aria Tower Suites; four-story high golf at Top Golf; and Cirque du Soleil’s “Le Reve — The Dream”. And while the Steak Sandwich at Ruth’s Chris looks appealing, the Warm Octopus Salad at Rivea, not so much. To get the details, click here.